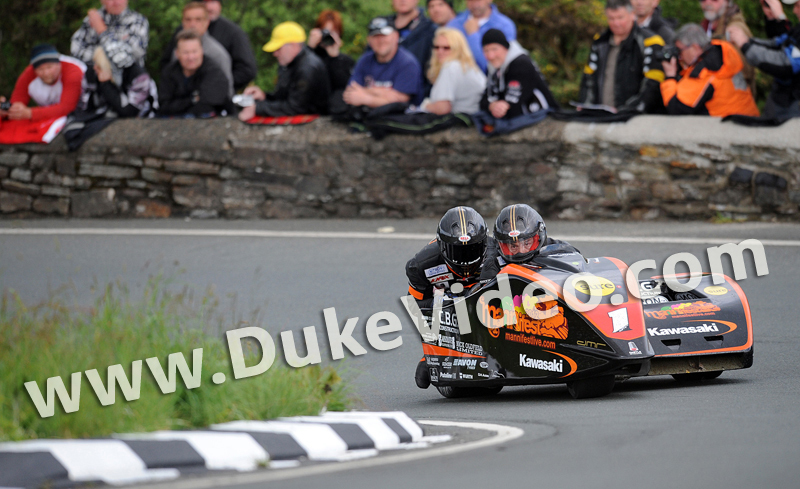 The Sidecar outfit of TT legend Dave Molyneux and Patrick Farrance rounds the Gooseneck on another dominant lap of the 2012 Isle of Man TT. Moly returned to action in 2012 after a year away from the TT and with new passenger Farrance, he won both Sidecar races to extend his TT win total to 16. Leading road racing photographer Stephen Davison was responsible for this evocative photo.